The upstate New York community has always been known for its sense of standalone innovation. This is the reason why many start-up businesses have flocked to the region over the years. However, times are now changing. While there is no doubt that traditional brick-and-mortar business still exert a powerful impact upon the local economy, we are seeing a growing shift towards the digital age. 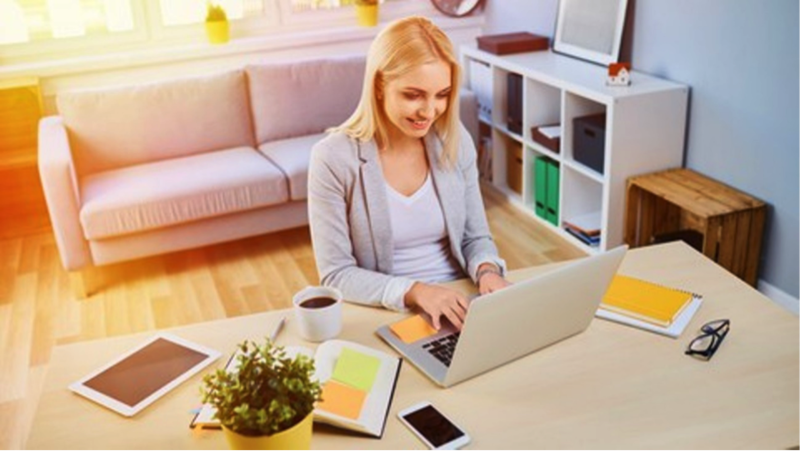 The number of home-based enterprises is on this rise and this will naturally equate to more opportunities for those who are able to think outside of the box. What are some of the main reasons why we are witnessing such an important shift what tools have allowed those with little experience gain an edge over their competitors? Let’s examine the answers to each of these important questions. The best home-based business ventures are those which appeal to a large audience as opposed to a handful of potential consumers. Having said this, there is an important point to mention. One of the main advantages of any online retail campaign is that it is able to target a niche demographic (and yet, this market could still be quite considerable). This directly contradicts traditional methods of marketing and retail sales in upstate New York (and within many other semi-rural communities). As opposed to marketing to a massive demographic (such as locations including New York City and Los Angeles), brick-and-mortar operations were limited by geographic considerations. In other words, a typical business venture would most likely be targeted towards those within a certain town or region. This could be a bit frustrating, as it might be difficult to develop a strong client base and even more challenging to turn a profit. The good news is that the world of online e-commerce has done away with such restrictions. It is now possible for even small businesses to communicate with customers hundreds or even thousands of miles away. No longer will they be held back simply due to their location. Although there is nothing wrong with continuing to cater to those within close proximity, the fact of the matter is that a broader audience will help to ensure steady revenue generation over time. While the information above is all well and good, how can it be put into action? What methods are currently available that will allow small business owners throughout the upstate region to target a growing audience while still remaining loyal to their traditional client base? Let us take a look at some interesting solutions. The first thing to keep in mind that there are many different types of e-commerce platforms to choose from. In the past, business owners were limited to more generic options such as Magento and Big Commerce. While these systems were certainly worthwhile at the time, the fact of the matter is that they could also be difficult to work with and their associated price tags were prohibitively expensive for firms on a limited budget. The inclusion of more flexible platforms such as Shopify and Oberlo has done away with these previous concerns. They have been specifically engineered for those who might not have a good deal of prior expertise. So, you will no longer be forced to spend hours learning the proper coding techniques and similarly complicated issues. This very same type of agility signifies that the packages themselves can be chosen based off of the needs of the business in question. Such a modular nature will help an online retail firm choose the right tools at the right times. The ability to analyze and respond to client feedback. Another important point to mention is that these systems can be easily integrated into an existing e-commerce framework. This would have been difficult in the past and as a result, there was always a chance that a certain amount of functionality would have had to be sacrificed. Thankfully, times have changed. While the digital revolution within many upstate communities might be somewhat subtle to the naked eye, there is no doubt that real changes are in store. This is good news for local businesses, as they can encounter stellar growth opportunities. It is just as beneficial for clients, as they now have a greater range of products and services to choose from than ever before. Such a trend should continue well into 2019 and beyond and the digital future looks promising.